When I was growing up, there was an entire section of my home that was roped off. Like a nightclub, a velvet rope draped across the threshold to the living and dining area, off limits to my grubby little hands. A plush sectional beside the picture window always beckoned me, and I’d sneak there to read a book. Many times I’d crawl into the dining room and sit criss-cross-applesauce under the table, where no one could find me, and where I could get a glimpse of our house the way I rarely saw it. It was wondrous, under the table and dreaming (sorry for the borrow, Dave Matthews). I could pretend I was somewhere else because the perspective I had, under that glass and chrome 70’s behemoth, was unique, unusual. I was at home, but also somewhere else. So now, every once in a while, I sit underneath my own dining room table. To me, it’s the perfect kid’s perspective. I see the world as a child might, peering only at legs and loafers. You know how you never see an adult’s face in Charlie Brown? How they’re just an unintelligible trumpet waah-wahhh-wah-waaaa? That’s the childlike mystique I’m seeking when I sit beneath the table. I see the world a little differently, but yet it’s still familiar, as it is my own home. This is an early Peanuts strip. Schulz later said that showing adults, even just their legs, was a mistake. Go ahead, take up a spot in your home where you rarely sit to rest: the closet, the corner, the stair landing. Make it your nook, your secret hideaway. Look at everything as if a child might, looming larger above you. Grab a blanket and pillows and make a fort. Steal away. Remember those fantastical childhood moments when you were somewhere else, but yet safe and protected at home. It’s a feeling you can recreate to help you delve deeper into the heart of your tale. You’ll be changing your perspective to that of a child—visually and emotionally. And, if you’d like, sneak some cookies and milk with you. I won’t tell anyone where you are. But don’t worry, the event IS NOT OVER. There’s still Post-PiBo to come–a week-long series of posts designed to help you prioritize and organize your ideas. Tomorrow I will post the PiBoIdMo Pledge. If you have 30 ideas, you sign it and YOU WIN! Don’t worry, you’ll have a few days to sign it. 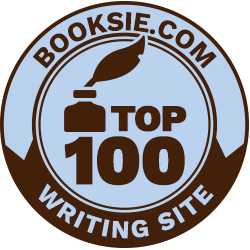 In the meantime, if you enjoyed PiBoIdMo, may I ask that you nominate this blog for the Top 10 Blogs for Writers? Head on over to Write to Done to make the nomination. Thanks for a great month, Tara. I wasn’t sure I could manage it with so many other responsibilities this month, but I’m entering day 30 with 29 ideas. Only one to go! I WILL make it! Thanks for today’s idea, too. I’ve spent lots of time with my kids in living room forts, but I can’t really say I’ve been on the lookout for PB ideas in those moments. Tara, thank you for all of the inspiration this month! I’m gunna grab my notebook and some coffee and hide under the dining room table. Bet my minions won’t notice till “feedin time”!!! This has been an inspiring experience. So glad I’ve done this and feel enriched with all the great posts. Nomination – done. My only question is – after 40+ years of RA and a total knee replacement, when I get under the table with my milk and gingerbread men, who will call 911 so medical professionals can come and take me out on a stretcher…? Ha. I have the same problem! Tara, thank you so much for a wonderful month. This was my first…and certainly not my last PiBoIdMo! The posts have been encouraging. This post of yours reminded me of hiding behind the couch…mmmm, can I still fit. Great inspiration! Great idea, Tara, to sit somewhere else for a child’s perspective. Thanks so much for hosting Piboidmo again! Thanks for the advice on gearing up the kid in us. Thanks for another great post. I’ll be lying beside the Christmas tree looking up at all the lights through the branches. Hopefully that last elusive idea will come to me there. Thanks so much for this challenge, Tara. Most days I had more than one idea, so I am a winner! But no matter if we got 30 ideas, we are all winners, because of the support and advice we received over the month. Dear Tara: Thank you for this month of PiBoIdMo . It will keep my motivation high for the next few months and then NJ conference will be here and I’ll be inspired again. PiBoIdMo will arrive again next November, just at the right time! Wonderful idea, Tara! Need one more idea to meet my goal, so I may have to find my own secret spot. Thanks for all the work you’ve put into PiBoIdMo! It was a wonderful month, Tara, and thank you for your ‘grand finale’ inspiration! My grandkids now sit under my table! Thanks for the inspirational month, Tara! Great inspiration for the last day! Thank you for a wonderful month! Tara, thanks for the daily inspiration and helpful tips from you and all the authors, illustrators and agents you gathered together for PiBoIdMo. Our eyes are wide open to ideas. You are both an architect and nurturer who has helped build the kidlit community into the sharing and caring group that it is. Thank you! And today I’m telling my family if they need me, I’ll be under my dining room table with the dust bunnies. I am so bummed this month was over but am so encouraged and inspired by each one of the posts! I am proud to say I actually came up with over 30! Thank you for an inspirational month. I am a little choked up that it is the last day😥, but I know there will be more tomorrow. I am going to sit under my table now. Changing our perspective is so important. Thanks for all the chances to do so with all the wonderful posts this month! What an inspired post, Tara, for our last day! I did it and cheer on all the others, too. I do,like you, remember rooms I was not allowed in as a child and the “don’t touch” stores, too. I may go into a closet today. TY fora wonderful month. Thank you for such an inspiring and encouraging month, Tara! Oh Tara–this reminds me of making a nook under the stairs in the basement, reading “The Neverending Story” by the light of my Dad’s work lamp, sneaking snacks down and finishing it in one long stretch. What a great and motivational experience PiBoIdMo has been for me–thank you so much! Thank you Tara for another great year of inspiration and ideas. Tara, you’ve given me yet another great reason to act like a kid today. I’ll ignore my husband’s puzzled look when he sees me sitting under my desk. I’ve followed your blog for years (since early 2010, I think), but this is the first opportunity I’ve made to participate in PiBoIdMo. I’d just like to express that this has been an incredibly inspiring (and fun!) month, and I cannot thank you enough. I so much appreciate the hard work you put into bringing everything (and everyone) together. Thank you, thank you, thank you! I can hardly wait until next year! Absolutely nominating this blog! PiBoIdMo was incredibly fun! Thank you Tara for all the wonderful posts! This is my first year and I loved it – very inspirational, creative and engaging. I’m so glad there’s more to come. Thank you! Tara your incredible online event was a huge gift! This month long workshop with writers and illustrators was worth it’s weight in gold! I’m looking forward to planting my 30 little idea seeds and seeing which ones grow! Really grateful for your leadership! Tara, I enjoyed what you had to say here; it’s really helpful. I love places like that where I can hide away and gain fresh perspective. This has been a very encouraging, inspiring, challenging month of idea-brainstorming. I’m so glad I took it on for another year. Thank you so very much, and thanks again to all your guests who helped get the creative juices flowing more freely. I look forward now to the finale and then the real work begins. Blessings to all involved in any way! Thank you Tara for a very inspirational 30 days! This was my first PiBoIdMo and it has opened up my eyes tremendously. I am a beginner at this and have learned a lot about generating ideas and to stop judging myself. Looking forward to next year! Thanks for the advice! And thank you for the wonderful month – it’s been an incredible journey. Tara, thanks for this post and for PIBoIdMo. This was my first time to participate and I loved it! I am going to miss it!!! It was the first thing I did every morning in November, some days anxiously waiting for the day’s post after I was up. Being new to writing picture books, I learned a lot. I had a great time. Thank you so much!!! Tara, thank you for the post and PiBoldMo. Ideas were harder for me to generate this year but the daily blogs were the encouragement I needed to finish the task. And, I’ve just finished nominating your blog for Top 10 of 2014. Best of luck! What an awesome month, Tara! I just love PiBoIdMo. Thanks for reminding us of the child perspective. My most vivid memory of this is in the garden between the raspberry bushes or the corn stalks. My sisters and I loved to hide there and watch the world go by. Thanks for bringing together so much inspiration in one event! Wow! A great post to end a great month! My ideas this month are mostly lame, but I spend the rest of the year adding to my list so I know there will be more to come! Off to finish up my lame list! Thanks for a great event! I’m going to check that perspective under the dining table! Thanks for the awesome, inspiring month. Good to know you’ll help with moving forward, too. Bit daunting with so many ideas now available and vying for attention. 30+ ideas and more coming into the blanket fort to spend some quality time! This has been amazing and I look forward to the week of follow-up! Thanks Tara, for the wonder that has been PiBoIdMo! The Charlie Brown comic strip has inspired me in many ways over the years, so I was delighted to see that it was part of the final post for this fabulous 30 day adventure! Thank you for all that you do to put this motivational challenge together for picture book writers everywhere. I had a blast this month. Many thanks, Tara, and to ALL your PiMoIdMo guests for the wonderful perspectives on the craft of PB writing. I, too, will miss my daily dose of inspiration here, but with all the other guests’ blogs you have shared in their bios I will never be without someplace to “visit” . My “fort” awaits! Tara, it is ideas like this that prove to me I have finally found my place in the world. As extreme as that sounds, it is 100% true. I can’t begin to tell you how much this community has meant to me this past month, but I am working on a blog post in order to try. I thank you from the bottom of my heart and the very center of my inner-child! Thank you for such an inspirational month. a forum for success. You rock Tara! I can’t believe it’s day 30 already! Thank you for your post and for this incredible month of inspiration and information! All of the bloggers were wonderful! Delighted to know there’s a post PiBoIdMo week as well- Thanks so much! Tons of thanks to you, Tara. All of the work and organization to put this on every Nov. I have all my ideas, plus 90,000 words in 18 days for NaNo. This gal is bebopping along. I haven’t sat under my table since the kidlets were young. I will do that. Love the fort idea. We live on a farm. I might make a fort outside. Thanks again, my cyber friend. thanks for the great month. it was a lot of fun. I just logged my last story idea for my first PiBoIdMo. 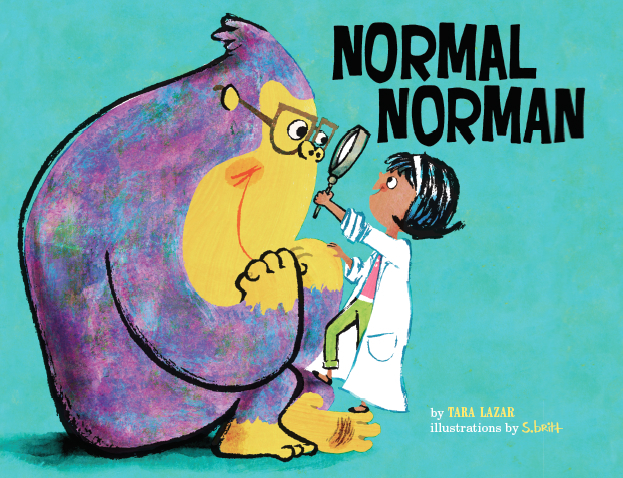 Thank you, Tara for all your efforts to inspire and encourage picture book writers. It was exciting to read a daily post written by some of the best of the best! I will be back! Thanks for a terrific month, Tara! 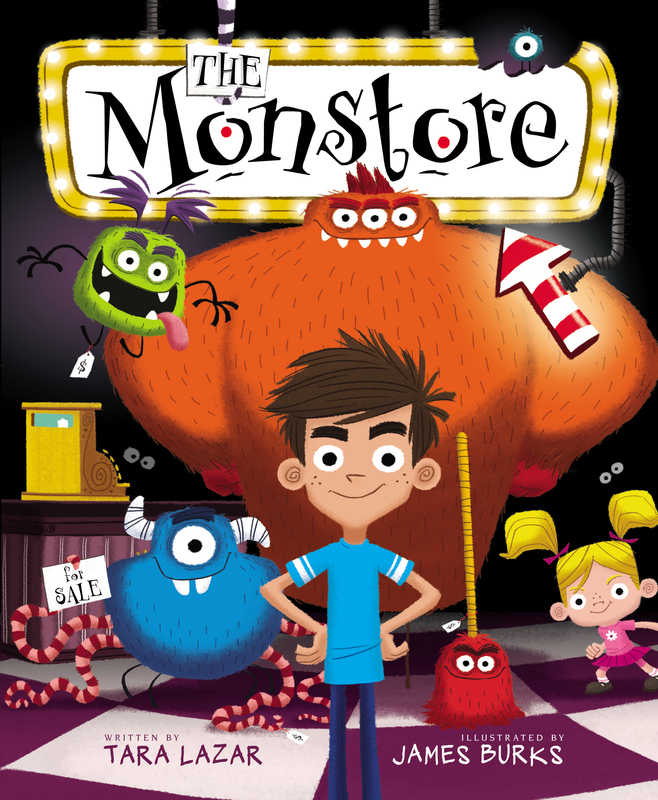 And a reminder to the author-illustrators in the group to sign up for KidLit Creature Week (www.birchtreepub.com/kcw/). Show your work, network with other artists, win swag. It’s free! Unpublished and published artists are welcome. We have some awesome guests of honor, including Molly Idle, Salina Yoon, Debbie Ridpath Ohi, Peter H. Reynolds, Dan Yaccarino, and others. Thanks for the post and a month focused on ideas. This has been a wonderful month of inspiration and ideas. All of the daily blogs were amazing. 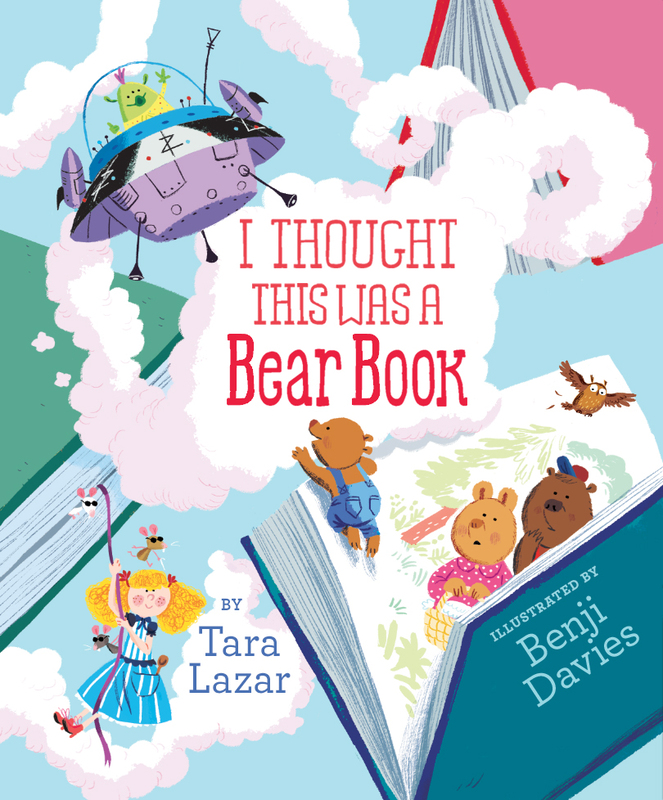 Thank you Tara Lazar! This is my first PiBoIdMo. I’m looking forward to the next. Thank you for the inspiration! Can’t believe the month has zipped by already! Thank you Tara for another wonderful year of inspiration! Eek, heading to coffee shop with my lil one and sketchbook to try to knock out 5 more ideas 🙂 Thanks Tara and guest posters, for an amazing month of inspiration and knowledge. I look forward to the post PIBOIDMO posts! 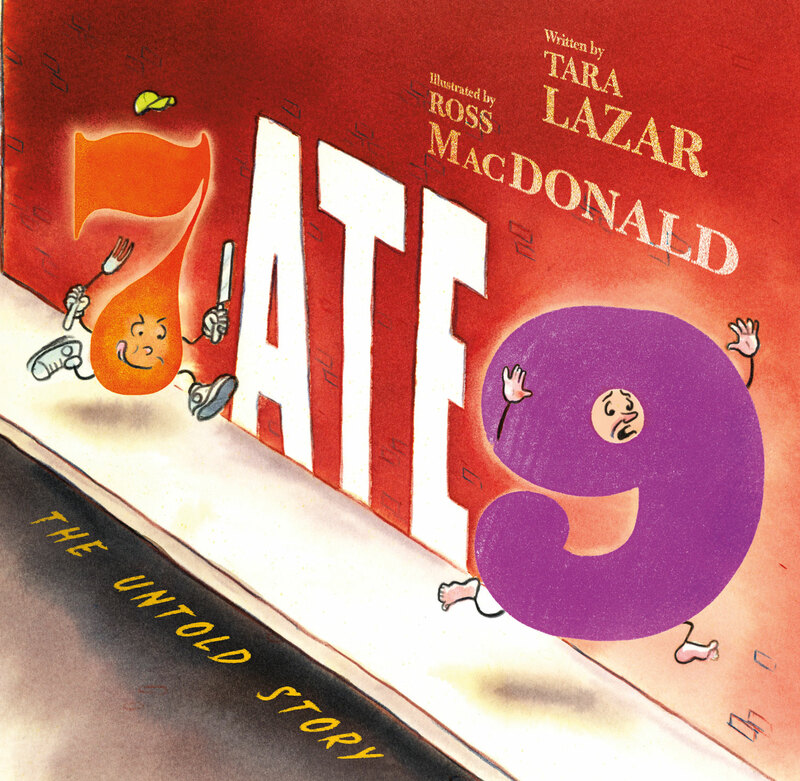 Tara, I have written a story about sitting under my mom’s 70 inch round wooden table. It was my favorite place as a child. Now I sit on the steps, lay on the floor and make blanket forts with my grandsons. It is great for the child like perspective. Thank you Tara for this Amazing journey, I will be busy with all these PiBo ideas. I’m already looking forward to PiBoIdMo 2015. I’ve already found my new spot!!!!! Now I have a good place to play with all my ideas. Thank you!!!! Thanks Tara for another great PiBoIdMo. There were times when I didn’t think I’d make it, some days there was nothing, on other days the ideas flowed. I’m very excited that I also have a first draft of a new story to send to my critique group as well as 30 + ideas 🙂 Thank you! Thank you, Tara, for another wonderful event — the blogs were great and the company fantastic. And thirty ideas? Boom. Done. Tara, once again you’ve assisted me in dreaming bigger and carrying my determination to greater lengths. Your guest bloggers were phenomenal; thought-provoking, funny, and helpful. I’m happy to say that this weekend, I began an early-reader series that I’m actually excited by and it all comes from being pushed to create ideas this month and be conscious of it! It took awhile to get going but once I did, I cruised along. Thanks again and good luck with the ‘best blog’ award. You deserve it! Perspective changes immensely based on one’s settings/surroundings…just as you experienced as a child. I’m enlightened by the numerous examples you provide for seeing life through the eyes of a child. As a writer, there is so much that can be portrayed if I step out of adulthood for a moment and think, feel, believe, and imagine…just like a child. Thank you for PiBoIdMo! It has given me many new avenues, ideas, goals, support, and inspiration! I’m already looking forward to next year’s blog. Thank you for a wonderful month Tara. This was my first time but I am sure to return next year. I think I will have to look for a fort in my own home, somewhere, where the kids can’t find me. I will be looking forward to post to follow as well because I really don’t know what to do after I have all these ideas. Tara, thank you for a great month of fantastic inspiration via awesome blogs. Am revitalized and ready to go! Wishing you all the best! This was my first time doing PiBoIdMo and I completed 30 entries…I am dancing on my toes. With all of your hard work, Tara, making this available to so many people and all your fabulous guests with their voices of encouragement, I completed the month. Unbelievable…Thanks thanks thank you so much. Now to look over the whole 30 and see what the trend is or pull and stretch the ideas into stories. Tara, It’s been an fantastic month! I’ve learned so much from you and your team. Thank you all for your hard work. At the beginning of the month I was hoping to come up with maybe 10 or 15 ideas. So far, I have a whopping 34 story ideas! Amazing! Now, there is the post challenge to look forward to! Yay! Thank you, Tara, for this wonderful month of inspiration. I’ve learned a lot and have new tools in my PB toolbox. Headed over to nominate your website now! I consider my son’s perspective one of my best sounding boards. Just need to make that blanket fort… So happy to have over 30 ideas, such a relief. What a great idea to look for a different vantage point. My daughters are always crawling around on ththe floor as partner some imaginative play. I gotta join them. 🙂 Thank you for a differentsplendid month of inspiration and encouragement. I look forward to piboidmo each year. Sending you many hugs. T.
My special spot was the floor at the foot of my grandfather’s bed, watching Tom and Jerry, Mr. Rogers, Dukes of Hazard…and sneaking shots of Aunt Jemima pancake syrup. Thanks for stirring up some SWEET memories! I used to hide in our wonderful walk-in attic upstairs and in the basement there was my dad’s small workroom way back in the corner. Nobody could find me! Thank you for a wonderful month. I should have 30 ideas by the end of the day today. I am excited for the post-blogs as I’m a little concerned about the organizing and prioritizing part of having so many ideas! Great post Tara! Thanks for changing my perspective! It’s been yet another wonderful PiBoIdMo month, thanks for arranging all our wonderful guest bloggers and overall inspiration for a month-long marathon of ideas! Thanks Tara for an amazing one month of ideas!! Another wonderful PiBoIdMo – they keep getting better and better! I’ve never looked forward to November the way I do now. Thank you, Tara, and all the guests for your creative generosity and cheer leading, and to all the participants, because there is nothing more invigorating than solidarity! Thank you, Tara, for another month-plus full of inspiration. It’s a lot of effort on your part. Nominating you is the least I can do to show my appreciation. Day 30 – a post from Tara! To quote Vanessa Williams “Saving the Best for Last” – Thank you! Another super successful and inspirational PiBoIdMo. Tara you rock! Thank you for all the fun! I called you the “idea whisperer” on the nomination for your blog 🙂 Tweeted about it too! Tara, Thank you so much for everything. You are awesome! I’m going down low to see what happens! I have enjoyed my first PiBoIdMo so much, and I feel inspired by all the advice from the bloggers and from my list of PB ideas. Thank you, Tara, for all the work you’ve done to bring us this great event! I have so enjoyed these 30 days of posts, insights and tips from the amazing writers and illustrators. I am so sad to see it come to an end but I take with me all the saved posts to continue to feed my writing appetite. I am already looking forward to next year! Thank you Tara. I usually sit on the floor, or laying down there so maybe I should hang upside down on the couch like my younger cousin does…thank you Tara! Thank you so much for organizing this month. It has been wonderful, and I like many of the ideas that came and hit me on the head. I’m also reminded today of the “haunted house” I constructed under the pull out sofa bed when I was younger. My own little spooky world. Fun times indeed! I just nominated your blog Tara. And again, thank you, thank you. The ideas I come up with for PiBoIdMo are always well received at writing conferences when I pitch them to agents! Hurrah! And P.S. I’ve got 36 ideas and am still counting on more! Wow, Tara!! I will be more than happy to nominate your blog. This month has been incredibly inspirational. Your post today is a really easy tip on how to change perspective – physically and therefore mentally! I love it!! Thank you so much for PiBoIdMo!!!! I almost put off today, because I didn’t want it to be over! So glad it’s not. I am so grateful to your concern and time – and your suggestion about perspective. A colleague once had high school students crawl around a shopping mall on their hands and knees to get that special perspective! Many, many thanks! This has been a rewarding 30 days! Thanks Tara, for giving all of us the push and inspiration we needed to think up 30 PB ideas! Wow, we made it! Thank you for another wonderful PiBoIdMo! So inspiring! Thanks for the push this month! I got a late start–began on the 19th–and among mostly blah ideas, I have a couple of inspiring ones. One more to go! Yay, yay, yay. Thank you thank you thank you, Tara and all the wonderful guest posters. I have 30, but I feel more on the way . . . it has been a great month despite a few personal challenges. And now I get to go sit under furniture with leftover pumpkin pie. Love it. Thanks for a great PiBoIdMo. Thank you, Tara, again and again for the challenge. I made it with a few extras! And I know there is a golden nugget in there somewhere that will turn into a story. And thank you for all those helpful blog posts! Thank you Tara! Wonderful post. Thank you for the challenge, and I have nominated your blog! thank you so much for all your hard work! I’m so impressed by all the blogs and the great, enthusiastic spirit here. Thank you, Tara, for taking me/us on this fabulous journey! Thank you Tara for a great month. I love knowing there are many other picture book writers going through this along with me. I surprised myself and ended up with way over 30. Thanks to all the encouraging posts along the way. I look forward to the next steps to narrow them down. Love your “different perspective” advice today. Thank you Tara for an incredible month of support and inspiration. I am Thankful for next week because I am not ready to let go. This was my first PiBoIdMo, and I loved every day of it. The challenge and fabulous posts kept me motivated, focused and working during a hectic month of moving. Thank you, Tara. You are an inspiration! A wonderful idea to spark ideas. Pretend and play. Listen to your child’s heart within. Dream of the days gone by and what sticks out? When you mentioned the places in your home that were roped off and not for children to enter, it reminded me of my youth when I was a day sitter for a Jewish family. They had a living room and dining room roped off with gold rope that was off limits to everyone unless the rope was down. One day I came and the rope was down. I walked on the white carpet and took in the gold leave wallpaper and the white cushioned chairs and couches….it was magical…almost like a winter-wonderland. The lady I worked for came in and explained that I was never to be in that room even if the rope was down. I didn’t understand why and to this day understand it was part of their customs, but still don’t know why. Maybe this is a book idea of differences between cultures…we are more of the same when we understand differences. Growing up my family was so poor we didn’t have a single space that there wasn’t someone using it, so I went outside under the porch. I figured if the dog liked it, so would I. Thank you for the inspiration. I now have a notebook full of ideas to think about. I loved your idea of finding a place to see things through a different perspective. I also really enjoyed participating in PiBoIdMo this year. It was fun and I learned a lot. Thank you for taking the time to put on this event. Thanks for all of your hard work! We all truly appreciate it. This has been my first year doing PiBoIdMo and I will definitely be doing it again. Thank you! Thanks, Tara -it’s been a fun month! Happy to nominate your blog. Thanks for all you do for picture book writers. It’s been a fun month! Thank You so much! Love the posts and listening to everyones ideas and thoughts! One more idea to go and then to re read and see where I go from here! Yeah, for picture books! Happy to oblige, Tara. Thanks for this fun post on perspective, all you do to organize his inspiring event, and for all the work you put into your blog. Thank you for topping off PiBoIdMo with another great idea, Tara! I’m sitting in the corner of my hallway while typing, feeling very grateful for being part of PiBoIdMo! This has been a good month. Thanks again for doing this! Tara, thank you so much for having this event. I have 32 ideas! This is my second year participating, and I am looking forward to doing it again next year. Thanks, Tara, for this great post about ways to regain a child’ perspective, and thank you for this whole wondrous month! I’m so happy to hear that we’ll have a week of post-PiBo. This was my first PIBoIdMo. It was a very interesting and productive month. Thank you and all the people who posted for all the wonderful story starter ideas and different methods to achieve them. I will be nominating your site. Looking forward to the next week, too. It’s been a great month of posts, inspiration, and community. Thank you for this Tara. OOooh… I’m going to like this. As soon as the kids go back to school, I’m under the table, the stairs, the bed, in the closet… And I always nominate you! For everything! Thank you Tara from under the covers. What a wonderful way to end the month!! I just love the idea of picking out your secret place in your own home (of course I would have to do this when I knew no one would be coming home soon, as they would put me in a looney bin lol) to see the world from a child’s perspective is a beautiful thing and it is in these moments we can catch our inner child and try to hold onto her for as long as we can….treasured moments! Thank you Tara, for all you did during this month and pre/post!!! Posts full of wonderful inspiration I will keep in mind on my writing journey! Best of luck to all that participated this month….hope to see your names on the bookshelves of our libraries and bookstores, hopefully next to mine! Tara, thanks for another great idea to get us motivated! PiBoIdMo has been fun and inspiring. Kudos to you for all you have done to make this such a meaningful experience. Woot! Can’t wait to return. I had a slow start, then suddenly felt like my brain would explode. I saw stories everywhere. Merci beaucoup dear Tara! Thank you for a great month of dreaming up ideas! Thank You Tara for the motivation AND the inspiration! 45 ideas and counting! Thank you, Tara, for again making November such a fun month with PiBoIdMo! Truly the enthusiasm from you and all of the wonderful contributors is contagious and SO inspiring. Bring on Post-PiBoIdMo! Thank you so much for this post and the entire amazing month of PiBoIdMo inspiration. I’ve come up with so many ideas (some great and some just fragments that might never turn into a PB) and I can’t wait to play around with them and see which ones demand attention first. Today’s post inspired a new idea, and I’m hoping to have a few more before the end of the day, but I’m way over 30 ideas! I hope that you were able to come up with some awesome ideas during this busy month, too. I nominated your blog (it definitely deserves to win)–I’m not sure if the comments are moderated, but mine hasn’t shown up yet. I’ll try again later if I still don’t see it. Good luck! 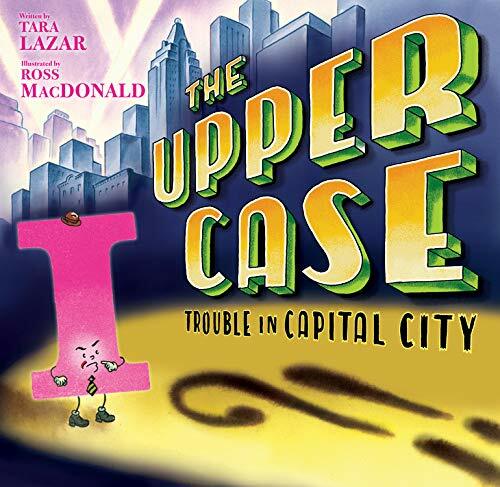 Tara, this isn’t just great for book ideas. I love this approach for problem solving anything. A new perspective…Excuse me, I am headed to my dining room table now! Thanks for a fantastic month of idea generating and sneak peeks into brilliant minds. Loved every day of it! Tara, this challenge has been such an eye-opening experience. I know I ended up with at least an idea a day. I’m excited to get a final count since they are all scattered around my house and in my classroom on scrap pieces of paper, in notebooks, and on post-it notes. The blog posts you had were exceptional and will stick with me all year. Thanks for your dedication! Thank you for everything you do to pull this all together. I’m just a few ideas away and optimistic about today. Thank you so much! Oh, Tara, what a month it has been. My idea supply’s getting thin. As I consider all writers my kin. So glad I took the plunge. Only four more ideas to finish up. I’ve loved adding art clips to each page. I’ve picked out a nice spot for my kid perspective. Now…if I could just squeeze my achy body into that space, we’d be in business. 🙂 Onto Plan B… ahhhh, this is just right. Love this idea. When I was young, I loved to sit on the stairs by a window reading. Thanks for all of the inspiration all month long! Thank you for another great PiBoIdMo, Tara! I love this post…thank you for reminding us to sit somewhere else to get a child’s perspective on the world… I love sitting in the woods under a pine tree or laying in a hay field hidden from sight. I still love making forts even though I’m “clearly” not a child anymore ( see what I did there? ):) This challenge was so much fun and I learned so much. Thanks to all. Thank you for an inspiring month! Thank you so much, Tara, for sharing your fabulous ideas! I actually do now have my 30 ideas. Tara, Thank you so much for everything!!! Your post(s), inspiration, inspirational guests. I looked forward to PiBoIdMo posts every day and jotting PiBoIdMo at the top of each page of my PiBoIdMo notebook. You know, I think that if we jot Pi….you know, those letters, when we think we’re down and out of ideas, it may be just enough spark to torch our fires again! Can’t say it enough….thank you! We had the same kind of area growing up. A couch that I’d sit in when I had to read for school. I wasn’t too fond of reading growing up, until around 6th or 7th grade. A couple books helped change that and some of their, ummmm, more adult parts my parents didn’t know about. I’ll head over to nominate you as soon as I click post comment. I remember my living room as a child, with plastic covering the sofa ( it was called a “couch” way back then) and the “good” carpets, and no one was allowed to stray in that room. G-d forbid we should take food in there! Thank you so much for the numerous, fun ideas with PiBoMo, and the positive thoughts from all who wrote on the blogs, and their comments. I’ve found myself doing things like this more and more as I write. It’s so easy to get caught up in your own perspective and forget what it is like to be a child. It’s so important to have your own, special space – especially one that makes you feel like a child again. Thank you for this post! 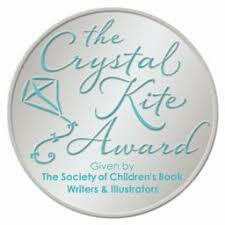 I just nominated your wonderful blog as I can’t think of another one more deserving than this one for children’s authors! Fabulous month – and I loved this post!!! I DID make my 30 – plus a couple. And I have no intention of stopping! Thanks a BUNCH, Tara!! Thanks Tara – another great post, and another great November. Thank you, Tara, for this post and and 30+ others that finally created a frenzy in me, as I revised late into the evening yesterday and wrote more on three stories today. It’s been a great November! On November 1, I seriously doubted that I could pull this off, but I wanted to try, and to my surprise, the ideas came (with the help of the daily blogs). Now here I am on November 30 with 30 PB ideas, and the idea-well has not run dry. Thank you for the challenge and the inspiration! Great post! And a wonderful November of PiBoIdMo! Thanks, Tara! Thank you Tara for incredible experience. I have so much about writing picture books. all of the guest bloggers did a beautiful job and I learned a bunch from everyone. Thank you again. At the end of my first PiBoIdMo, I’m tired, glad I participated and glad it’s over (almost), replete with lots of (mostly lousy) ideas, and grateful to you, Tara, and all your hench(wo)men, for the daily inspiration! Thanks for the terrific month of inspiration, Tara (and guests)! I will change my perspective. Today I will write on the floor. Thank you! Thanks, Tara for everything – I have 30+ ideas thanks to you. Thanks Tara, I enjoyed every minute of it. Thanks too to all your guest bloggers. Well done! What a great way to cap off a great month of inspiration! Thanks, Tara! Thanks for another great year of PiBoIdMo, Tara! I am eager to try out some of my 30 new ideas this coming year. I believe in not only trying out new child-like places but also buying coloring books and crayons at Christmas for a child-like activity that meant so much to me as a child. Thank you, Tara! I loved it and will do it again! This was my first time and WOW. Thanks again for all the inspiration! What a month! This was my first year to participate. What fun! Thanks to all the guest bloggers for their ideas and encouragement. Tara, thanks for creating PiBkIdMo. I heard about PiBoIdMo at the SCBWI North Ohio Conference in September and decided right then to sign up. I had to wait, but all that thinking time served me well. Thank you for putting all your work into such a fantastic vehicle. I’ll look for you next year! Thank you for a wonderful month, Tara. If anyone’s looking for me, I’ll be in the hayloft. Tara, Thank you for your suggestion to try a child’s perspective! And Thank You for PiBoIdMo! It’s been a wonderful, inspiring experience! Been a wonderful month of ideas and advice from many talented authors and illustrators. Each post has changed my perspective or offered a friendly reminder of why we all love picture books. THANK YOU Tara!! Nominated! This PiBoId Mo has truly changed me as an Illustrator and writer and I look forward to all I know it will help me produce. This month has already changed my perspective, but I can’t wait to find a nook to do some more observing (and writing and illustrating) from a different perspective tomorrow, first thing when my kids head back to school! THANK YOU Tara!! This time of year, cozied up near the Christmas tree blankets me in inspiration. Tara, thank you for hosting another outstanding PiBoIdMo! Damn, I need to clean better! 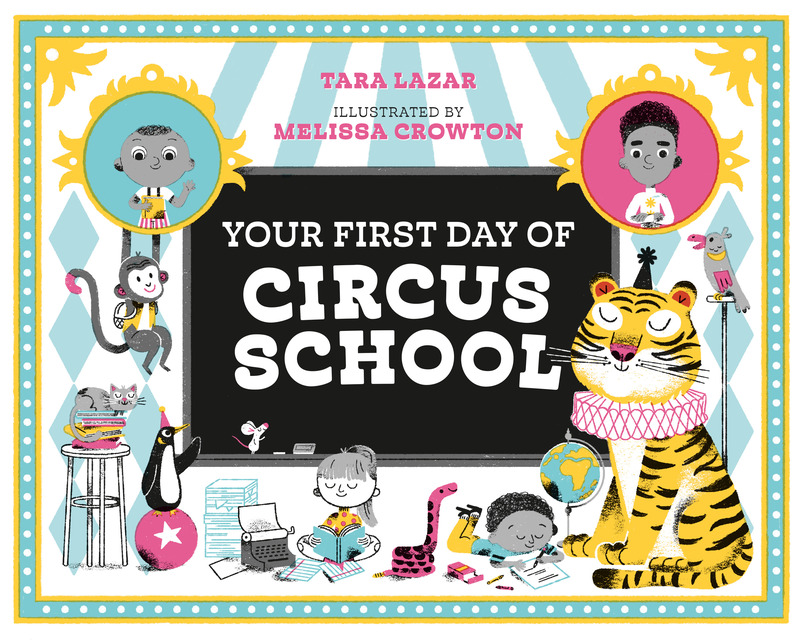 Dear Tara–thanks for inviting us to join you on the joyful PiBoIdMo playground. I have successfully completed my first, but not last, wild romp! But unlike so many other players, my ideas refuse to be quantified. I have over 30 numbered entries, but each idea begot ideas which grew wild vines to swing on too. I played in ways I haven’t before and have a surprising collection of ideas, many unlike anything I’ve tried before. 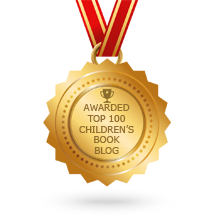 The guest blogs boosted me up on the monkey bars, underdoggied me on the swings and spun me round the merry-go-round. I am so grateful to be part of a community that values what we do. Thanks for everything! I need to clean today so that will give me plenty of new perspectives. ^_^ I love looking at photos my son takes with my phone. He always has the most unique perspective! Also love hearing him talk. Kids are great. I’m gonna go help get you on the list now! Thanks for organizing. This has been very inspiring. . I cannot thank you enough for providing such a wonderful blog and interactive writing inspiration. Living in rural Australia I stumbled across your blog while researching NaNoWriMo secretly wishing there was a similar format for children’s writers. Then I read your blog and found it to surpass any expectations I could have wished for. I now find myself in a state of sadness that this wonderful event it over but with 30 new ideas I have my work cut out for me until next years PiBoIdMo. Thank you so very much for the sense of community conversation I got from the posts and comments of like minded authors, it is very much appreciated. Thank you for the Dave Matthews Band reference, as that was one of my favorite albums for a while. 🙂 This has been a great month, Tara, and I am off to find myself a hiding place. Dear Tara, It must have made books seem extra special, sneaking beyond the velvet rope to the window seat. This is a fun recommendation & worth doing asap! I mite try the treehouse. Luv this November’s extravaganza of PiBoIdMo. Have the 30 & hoping to comment as much as possible tonite. In addition to travel, wedding anniversary & a broken foot, it’s been a month full of writing, thanks to you. I can’t believe I did the Whole Month! Thank you, Tara and all the wonderful bloggers! An idea a day for 30 days, who knew I could come up with that many? I didn’t! Terrific! Thank you Tara and all the guests who have shared information and encouragement with us this month! I feel energized and inspired to write. Nice post to wrap up the month of November. Thanks for the 30 days of inspiration! You know, if you do something like sit under your dining room table, that’s the day your mother-in-law decides to surprise you. And…your child’s teacher sneaks in right behind her. As I laugh at the visual that springs to mind, I remember my brother and I built forts all the time using blankets and chair cushions. Hmm. Where is that blanket? Please hold my calls. Thanks so much for organizing everything and getting so many great people to share their inspiring ideas! Fun stuff!! Thanks for putting together this entire month of posts. I’ve enjoyed it and learned so much (plus I have 30 ideas)! Tomorrow when the house is quiet, I think I’ll crawl under the Christmas tree! You have done a wonderful job choosing guest blog posts. Thanks for everything you do for us. Thanks – I really enjoyed the guest blogs and have 30 new ideas to work with next year!!! Thank you for this wonderful reminder of how to put yourself back into your childhood (I was one who loved to build a fort under the dining table). My cats might think it a bit odd of me, but I will definitely try this! Thank you Tara! Great post! Congrats to all of the winners! Hooray for another successful year of PiBo! So apropos to have had this gathering in November. I give many Thanks for you for Giving of your time. I can’t believe a month went by already. Thank you soooo much for organizing PiBoIdMo, Tara! Thanks again, Tara, for another great November! Had to replace a water heater and the box is a lot of fun seeing the world again the way I did as a child playing in boxes. 30 or not, it’s the fun and the challenge that counts. Each one wishes to win of course but the real win is far or near down the road when those ideas become picture books one day. Till next year. Thanks for PiBo, Tara, it’s been a great year, and I am thankful for th epre-and post- sessions, too! Thank you for the last post of the month-like the cherry on top, and thanks for the second round of desserts with post-PiBoIdMo! Happy December all! Thanks for another great November. I had to squeeze the rock pretty hard to come up with 30 but I made it. Also, nominated your blog. Love it and thanks again! Yay! 30+ ideas story ideas and so many things to think about from all the great posts. Thank you for this very perspective changing experience. I have LOVED this month of writing . This was my first Nov. with you and I really want to THANK YOU. I am laying under the coffee table right now!!! sooooooooooooo I will continue to write and enjoy it all! thank you again!! Tara, thank you so much for creating another perfect PiBoIdMo! I looked forward to the guest post each day. We all had some sort of secret spot, maybe that’s part of being a kid! Thank you for setting this up, Tara. It was sort of like a fun game for me! Great posts, very encouraging and inspiring! Thanks Tara, this was an amazing event and I can’t wait to participate again next year! Thank you, Tara. This is an amazing event. I cannot imagine the amount of work you have to do to make it happen. I feel so fortunate to be able to be part of it! Having three little boys, I frequently get ideas from listening to them, but now I will follow them around and do what they do to see the world from their perspective. Thanks for the great advice! Oh, I love the idea of escaping to a secret place — loved doing that when I was a kid. Thanks for a great month of inspiration! Your hard work is appreciated. Thank you so much Tara for doing this wonderful writing event. PIBoIdMo is a very good source of amazing posts/inspirations. Kid-height, kid view great advice!! Thank you for a month of inspiration, calm support and fun! November is a hard month for me, and I really didn’t think I could do this. Thanks to EVERYONE for helping me actually complete something!!!! Thanks, Tara, for an inspiring month! Tara, this has been an unexpectedly fantastic experience. It was my first PiBoldMo, but definitely not my last. Thank you so much for creating this. The posts were humorous, informative and inspiring. Phenomenal job–thank you! I made it!! 32 ideas in 30 days. Thanks Tara for creating this wonderful challenge. It’s been a great learning experience and a lot of fun. Tara, thanks so much for an inspiring month! 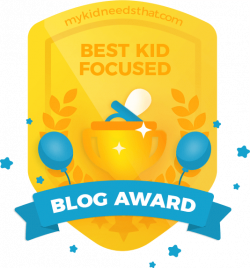 I debated signing up this year and I’m so glad I did – now I wonder how I’ll get through the day without a fantastic blog/post waiting to greet me. 😀 You’ve created something incredible and I’m so glad I was able to be a part of it – and can’t wait to do it all again! Did it! And, thanks for another great November. The idea of physically, not just mentally, changing perspectives is refreshing! My 5 year old often borrows our camera and goes around the house taking pictures. What she sees through the view finder surprises me (and I can garner some story ideas from her photos). Thanks, Tara, for another fun and productive PiBoIdMo! What a phenomenal post and an amazing month of generating ideas!! I am going to make it my job to slow down and play with my kids more, in the places they like to play (like a fort under the table). This whole month has been amazing! Looking forward to post-PiBo and I will definitely be joining you again next year. THANK YOU!! I am writing to you from under my desk, it is quite dusty and there are lots of wires. Someone just rolled over my paper with the desk chair, hihi, no one knows I’m here. Thanks Tara, I liked trying out a new perspective, and I am looking forward to Post PiBoIdMo to figure out how to tackle those ideas! Thank you so much Tara for creating and organizing this amazing month. At first I was intimidated by the thought of 30 PB ideas but in the end, when I added up all my thoughts and pieces of paper, I had 35!! Who knew!! It was an amazing feeling that I achieved that many ideas and a few have potential. Again, thank you and thanks to all the bloggers who where so inspirational to get me to the 35. Thanks for PiBoIdMo. I am working on my 30th idea right now. It was more difficult than I thought it would be and good number of my ideas are awful. But a few have potential and I would not have thought of them without this challenge. Thank you so, so much for this journey! Love the daily pushes and looking forward to finding other avenues to keep this going forward. One idea leads to another. I’m actually thinking that spending time in a playhouse could be very productive. also, regarding perspective… I’ve noticed the penchant for tree houses never leaves some people… just saying…. Thank you for the post and for developing and hosting PiBoIdMo, Tara! Pillow forts and table tents were my favorite as a kid. There was nothing quite like constructing something cozy to pretend in. Mahalo nui loa for the wonderful month! I enjoyed every day! I’m glad that I found this opportunity and most grateful for all of the guest posts! Thanks Tara. What a fun experience. So happy for the opportunity. Nomination is in…good luck!! Thanks, Tara. I mean it. Thank-you so much for this challenge and this community. And just for good measure, I am writing this from my closet. Wow! This is a lot roomier than my childhood closet hideaway! Thank you so much Tara for all your hard work in creating PiBoIdMo! The last 30 days I have learned so much from your awesome guest bloggers. I now have 30 ideas to choose from and the confidence to keep going. It was nice to hear that other writers struggle with the same things I do and still succeed. Must never give up! How appropriate to have the last post in the 30 days. I whacked my head, but did write several ideas down while under my table today. Good ideas and the writing down of ideas from my childhood play came to me. This month has been wonderful! Thank you, Tara! I am imagining a kid sitting on the couch, a kitten by their side, reading my book 🙂 Thanx, Tara for a wonderful month! See you all at all our book signings. Picture Book Idea Month was a great incentive! Thank you for doing this. Thanks for the month of inspiration and the many tips! What a great productive month. Thanks again Tara Lazar for a idea boot camp and rallying the charge forward to creativity. My first PiBoIdMo has been a great learning experience! Thank you Tara and all the guest writers for sharing your thoughts and ideas. Very inspiring! Thanks so much for doing this, Tara. What a great motivator! Thank you for the lovely 30+ inspirations and learning opportunities! What a fun and engaging challenge! I did it! Yay!!!! Wow! Thank you, Tara! I really look forward to PiBoIdMo and come away wondering why I don’t do this EVERY month??? Oh yeah – because it is hard!!! Anyway, your post about changing perspective was helpful, especially since I LOST ideas 16-27 last night! Apparently, while careening through my listing and collection of notes and outlines of stories that would support the ideas, I must have highlighted and deleted, then closed…..oh my. So this morning I tried changing my perspective, retracing my steps, looking at the same things that I had been looking at yesterday, taking a walk, cleaning (! ), shopping – ANYTHING – to try and jog my memory and help me get back to where I’d left off. So…into the living room I went. Sitting in the ‘fancy’ spot…where it was quiet and I could think… well no, I didn’t remember them all, but some of them came back. The rest had to come on their own, but how timely to have read your post before going back to my (shorter) list! I’m so excited for you, seeing what is coming out this year and next! Congratulations! Thank you again for the great celebration of ideas. Best wishes and Hooray for 31 ideas! So glad to have made it! 30+ story ideas. Success. Thank you Tara for creating PiBoIdMo, and helping so many people. You’re a huge inspiration!!! When I was a kid, I enjoyed laying on my bed with my head off to the edge. I imagined myself walking on the ceiling and seeing everything upside down. I’m inspired to try that today. Thanks, Tara, for a fun and inspiring post! I have a 5’x5′ table in my office. I’ve been known to sit under it. 🙂 Thanks, Tara, for the annual November treat called PiBoIdMo. Thank you for a wonderful month of inspiration! Thanks to Tara and all the guest bloggers for the inspiration and advice. Enjoyed every post. So far I have 28, but I have an hour left to get the last 2 (banging head on table). Thank you, Tara, for another amazing November that we all look forward to. My second year – 30 more ideas. Looking forward to year! 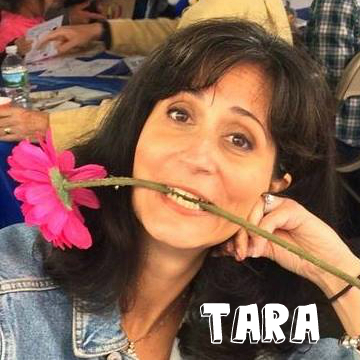 Thank you, Tara, for being our PiBoIdMom! It’s been a great month (not necessarily easy, but definitely great). It’s so fitting that you get to have the last word! Thank you for organizing this event and for rounding up such great folks to represent the children’s book community through their posts. Also, my idea #10 is titled “Under My Kitchen Table” !! Thank you, Tara for well-organized inspiring PiBoIdMo. This my second year and I actually did finish this year! What a great and fun month! Thank you so much, Tara, for putting PiBoIdMo together. This was my first year, and it was incredibly motivating and inspiring for me. 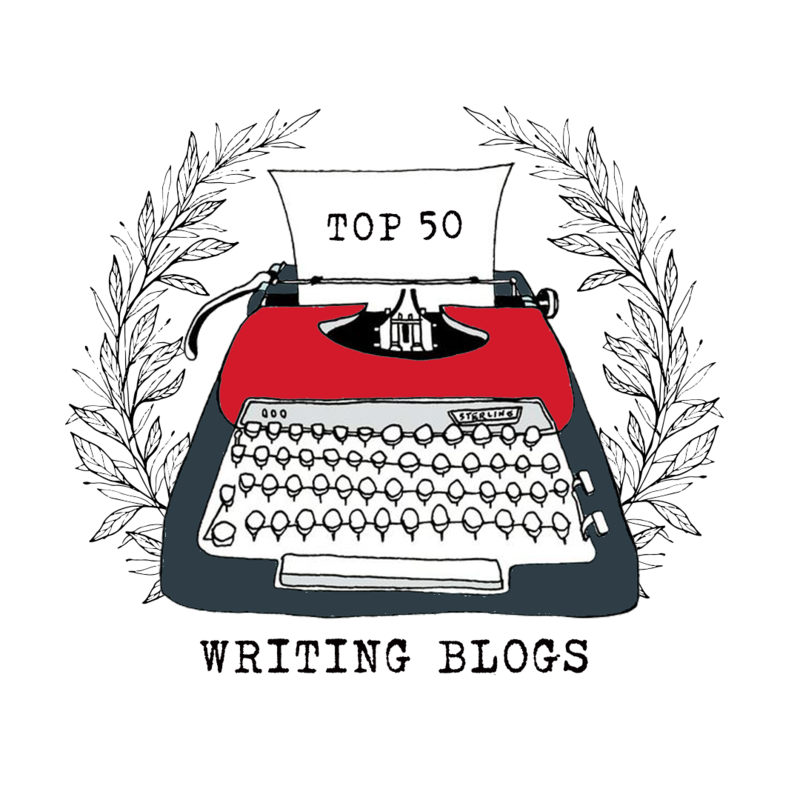 I’ve tried to nominate you for Top 10 Blogs for Writers, but my comment hasn’t been posted yet. Anyway, know that you are greatly appreciated!! Thanks for a great month, Tara! Got my 30 ideas and I’ll gnaw on them all winter, like a squirrel with a stash of acorns! Thank you! This has been a great month of inspiration and encouragement! I feel like a winner just for reading all of the truly inspirational posts from your guest bloggers this month. I’ve learned so much! Thank you for your work and dedication and generous spirit! I went the distance (cheap Rocky reference…)!!! I didn’t get to participate on the blog as much as I had wanted to, but the ideas did get jotted down and now they’re all compiled in my sketchbook. I’m grateful for that and for this challenge. I’ll be b-aaaa-ck (cheap Arnie reference…). I’m going to have to try out a few more hiding nooks in our house. Great post, Tara. It’s always good to look at things from a different perspective. Thanks, Tara, for giving us a month+ of new ways to create ideas and think differently. This month is invaluable and I’m so grateful for your ingenuity and generosity!!! Thank you, Tara. And of course I will nominate your blog; it is a wonder and so are you! It has been an awesome month. Thanks a lot!!! And I love your idea of finding a hidden spot. Some days I wear something from my kids (a tiara, a colorfull clip…) or similar ítems or toys to feel like a kid again too. Thanks for another brilliant month, Tara. The majority of my ideas this year are non-fiction, which is completely different from every other year. But I like the few fictional ones I’ve come up with, too. Thanks for a fabulous and inspiring month, Tara! THANKS BUNCHES, TARA! I came into Day 30 with 29 ideas, but with your post I got my 30th!!!!!!!!!!! WooHoo! 2 year in a row win-nah! Heading over now to nominate you! Thanks for another inspirational November and the reminder of those sitting under the table moments. What a great post about a new perspective 🙂 Thank you, thank you, thank you Tara for a fabulous month. You are so generous and supportive! 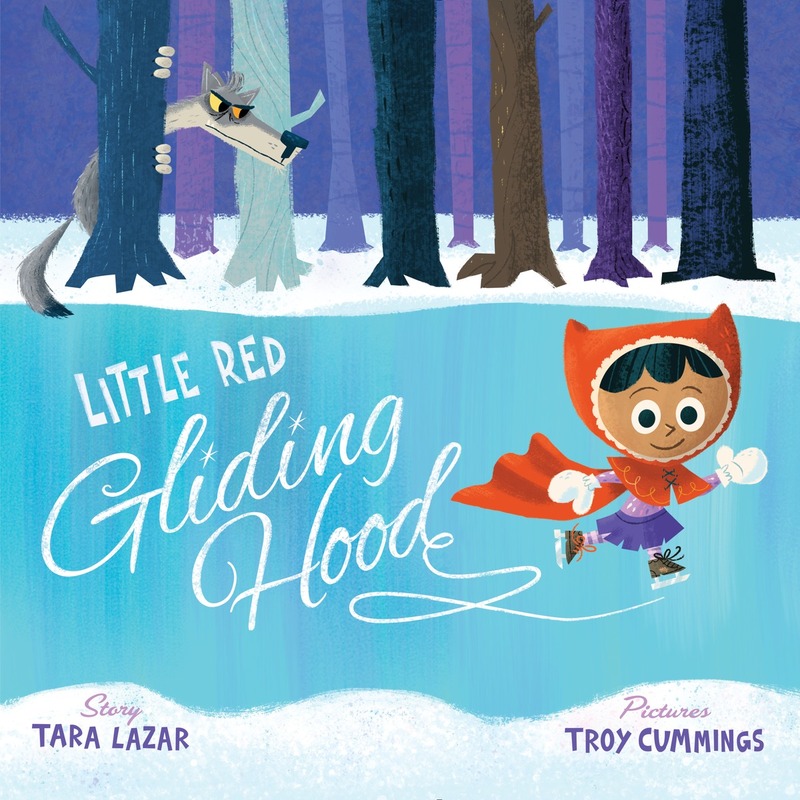 Thank You, Tara, for this amazing month of picture book heaven. It’s been a blast! Will do! And thank you for a great month! Thank you for an amazing month! Hi Tara. Thanks for once again hosting such a dynamic writing challenge. Thanks, also, for the old Peanuts cartoon. That was pretty cool. This was just a particularly wonderful PiBo, and I am so thankful for my notebook of ideas. Thank you Tara! This last month has been so much fun. Chocolate chip cookies and a fort sounds like the perfect way to celebrate its completion. I wish I could adequately express how much PiBoIdMo 2014 has changed my perspective, attitude, and–hopefully–practices. Tara, you are better than the best thing since sliced bread! Tara- you are so great for putting this together. It is so great having this online community to help with generating ideas — and with breaking up the writing solitude! 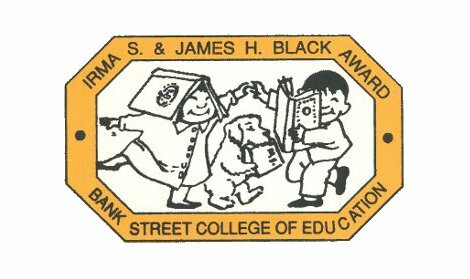 It’s good to remember favorite places as a child….I began a Be Kind to Animals club in our neighborhood when I was about nine. My favorite place to write was in the section of our basement where the club met. Often alone there, I could conjure up short plays to raise money which went to the animal shelter. Club members took various parts and we posted notices about the play all over the area and performed the plays in my backyard. I love the idea of making a fort to get a fresh perspective…maybe I can build an igloo this year when the snow starts again. Coincidentally, I’m eating cookies and milk as I read this. Thank you so much for this month of blog posts! It’s been enlightening and inspiring. 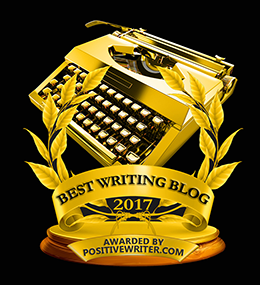 My nomination for your blog for Top 10 Blogs for Writers has finally been posted- along with a zillion others! You’re the best! Thank you. It’s been inspiring. Thanks so much for all your hard work. It is the BEST writer’s gift for all us. I’ve sat in a fort, and I’ve sat on the stairs, but it’s been a long time since I’ve sat under the dining room table. Gonna have to try that! Thank you Tara – I gladly nominate you! 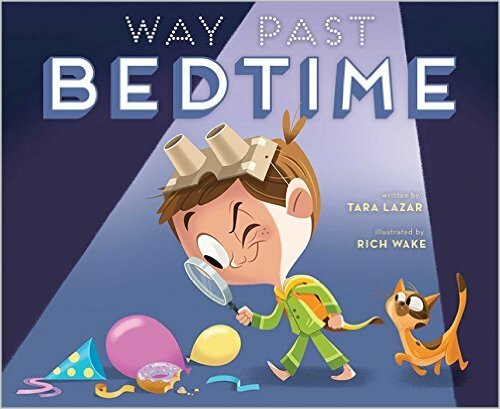 Tara, thanks for this fun post which allows us to experience the wonder opening our mind’s eye to new ideas! Your blog is already a winner! Heading to my fort with cookies, a notepad, and my list of PiBoIdMo ideas. Thank you for everything, Tara! Yes! That’s what I need: a secret hideaway! Thanks for all the work you put into PiBoIdMo, Tara. It pays off for so many, myself included. Thanks for a fantastic inspiring month (though I have finished it a little late- but better late than never!) I have ideas piling up, now to the next stage- writing!